It Tolls For Thee, MSU: You know what has a place in football? SPALDING FREAKING FOOTBALLS. Most folks I know don’t remember hating them until 2010 or so. They were just a team we beat. Losing to them was straight up shameful. Now they’re trying to scandalize us and troll us with asinine messages on marquees and it’s just weird. T’was it always thus and we just never picked up on it? The former coach of their arch rival coming here, and not in a pine box? Sure, that’s something. 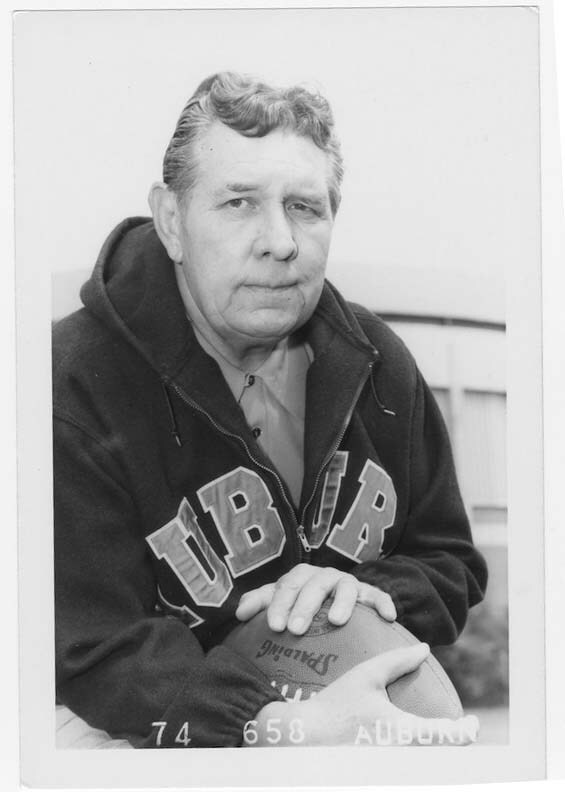 But if deep down enmity hath always existed between Auburn and Mississippi State, I guess we have to thank Shug. Nov. 9, 1974. Jackson. Three bench-clearing fights. Offensive inconsistency. Cussing. Cowbells. More cowbells. Yes, Auburn won, 24-20—and he did give Mississippi State credit for “coming back and making one helluva game of it”—but Shug blamed the damned ding-dong din of the bells for twice causing Auburn to go off sides and for a fumble at the six-yard line. He was, he said, “disgusted.” He didn’t hide it. Auburn quarterback Phil Gargis (here’s our interview with him) had problems communicating the whole game. He’d look to the ref for help. The ref would tell him to play (at least that’s what his lips looked like they were saying). “I told Gargis that the next time (referee James) Artley told him to get back, to not do it,” Shug said. “Take a five-yard penalty. Shug’s complaint is what came in, and it led directly to the SEC banning artificial noisemakers in stadiums the next year (which led directly to AP stories with lines like “State fans say they feel naked without their metal clankers”). “There’s been a lot of talk about digging a pit and burying all the bells and dedicating the mound to Shug Jordan,” a Mississippi State spokesman was quoted saying at the time, which, even if he was joking, is kind of a weird thing to say. The bell ban lasted for 36 years. In 2010, State fans were allowed to openly bring the cowbells into stadiums but only allowed to ring them after touchdowns and during timeouts. But before SEC coaches intervened, they were almost banned permanently last year when SEC athletic directors voted 10-2 to do away with the cowbells completely. Auburn Athletic Director Jay Jacobs was one of the two who voted in favor of keeping them. Shug probably tolled in his grave. Related: Mississippi State Fan Sues Auburn, SEC Over Confiscated Cowbell; Calls Rule ‘Unconstitutional’. Notice how Coach Jordan displays proper ball security! Two hands on the ball and the palm over the end…. You are so right Aubiece. It’s just engrained in the man. So are we gonna hear em Saturday? they make me mad!